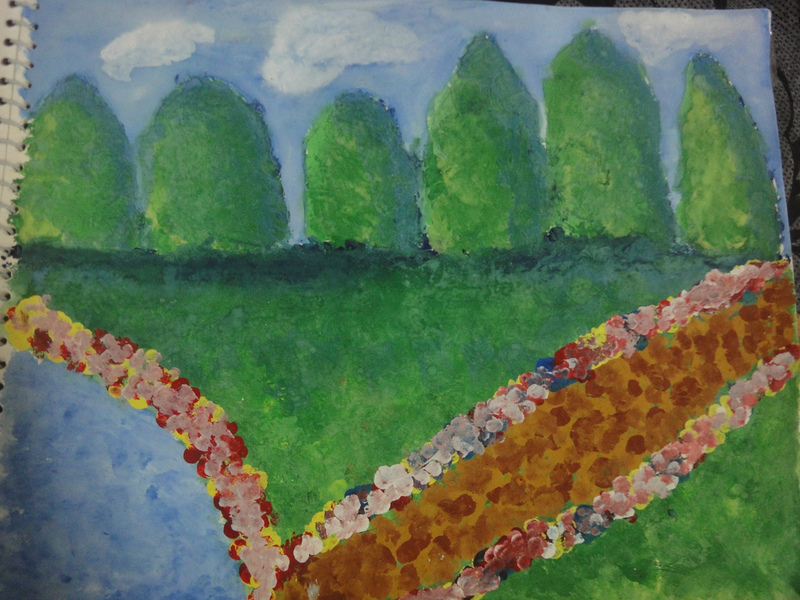 Mrs Piccasso‘s lesson on Monet Garden inspired and guided me in doing this watercolour. I had lot of fun doing this painting. I also learned about the famous painter Claude Monet and saw a few of his paintings on the web. this one is too good shreeya. very nie painting.